I had the thought sometime during the summer to paint one for mom for the workshop in their back yard. I remember telling Deddy about it while we were on the World’s Longest Yardsale adventure. We saw one while there on a log cabin and checked it out for size and such. Her birthday is coming up, a storm was brewing for the day and so I headed to Home Depot early. 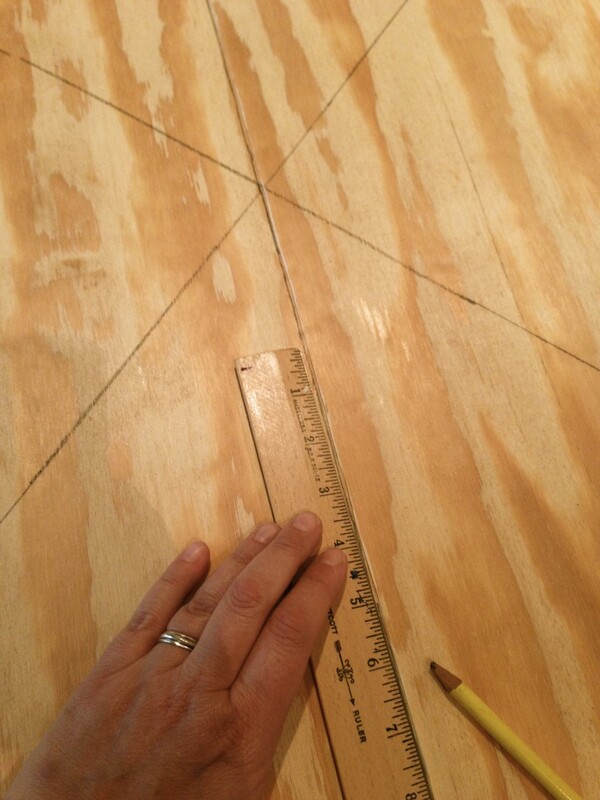 The men there cut my plywood 3×3. Talked me out of the sealant I had in my buggy and I went with Rustoleum paints and also their clear coat for the sealant. I dragged all this in to the kitchen table since the storm is brewing closer now. 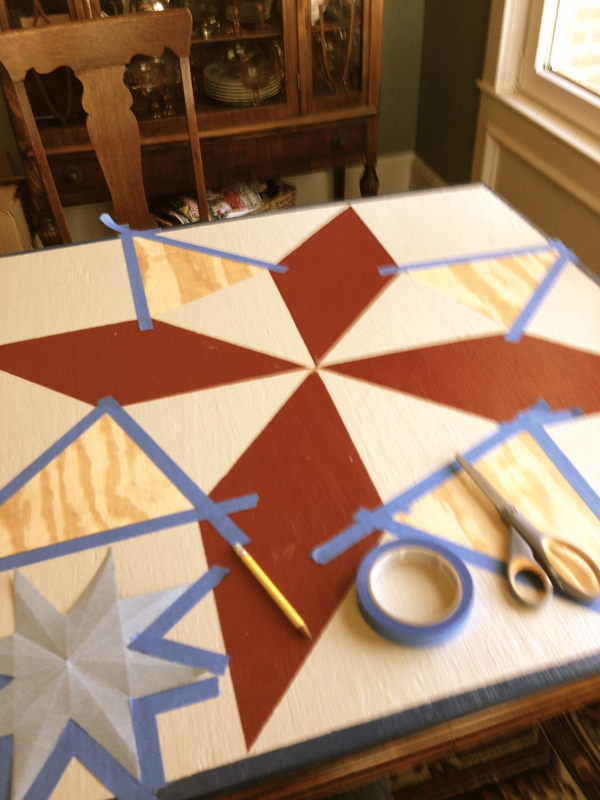 Do you know how many stars there are in quilting? 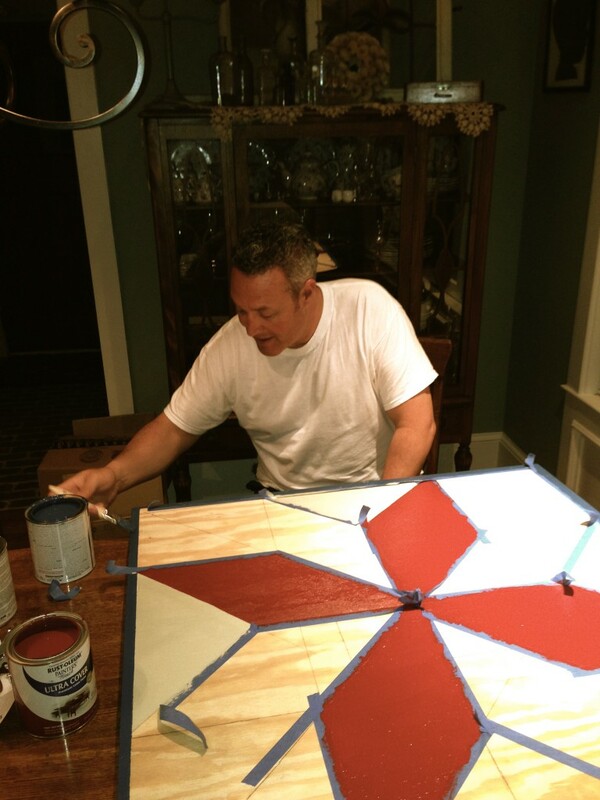 I want to paint a Texas Star since momma and deddy are from Texas. Is the lone star the same as the texas star? Or the Bethlehem Star? There is a Amish Star, Ohio and Wonky!! I found a website that boasted 33 star patterns but not one was called Texas Star. What’s a girl to do when she can’t call her expert quilter? Plus some websites contradicted each other! I found one that at least sounded half way reliable and had directions for making your own pattern with dental floss and a ruler and pencil so away I went. It was easy compared to Wonky! 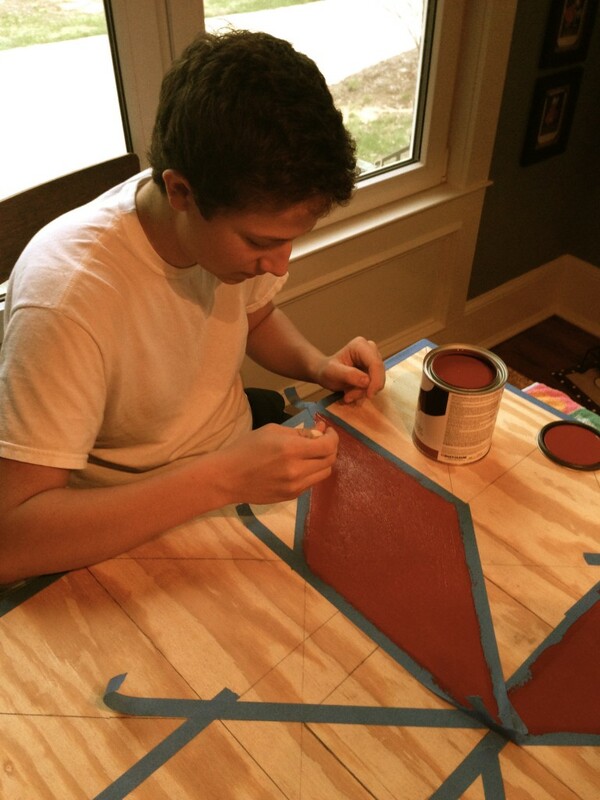 School let out early with the storms so Chad was home and helped put on three coats of paint on the red half diamonds. Kevin helped too. We visited over painting. Yes, paint was on my phone, my light switches, my arms and my table, but these are just memory spots now. Morning light as I painted and drank my coffee. I loved it being in the house because I could add a coat and do something else. We would sit around it and paint and visit. Many coats of clear coats. On the back and sides too. I painted “to mom love lkd” and dated the back. My handy man was available for hanging so we drove across town unannounced at “nap time” Sunday afternoon to hang the quilt. My Deddy came out to see what was going on. And before long a sleepy momma came out too. It will look wonderful when all their hydrangeas are blooming and the sky is blue. When we drove away I looked down the driveway of my childhood home and could see the quilt on my deddy’s workshop and it looks so happy and so perfect. It will bring happiness to both my parents every time they come home. Mom said she didn’t even mind doing the dishes anymore because she can look out the kitchen window. 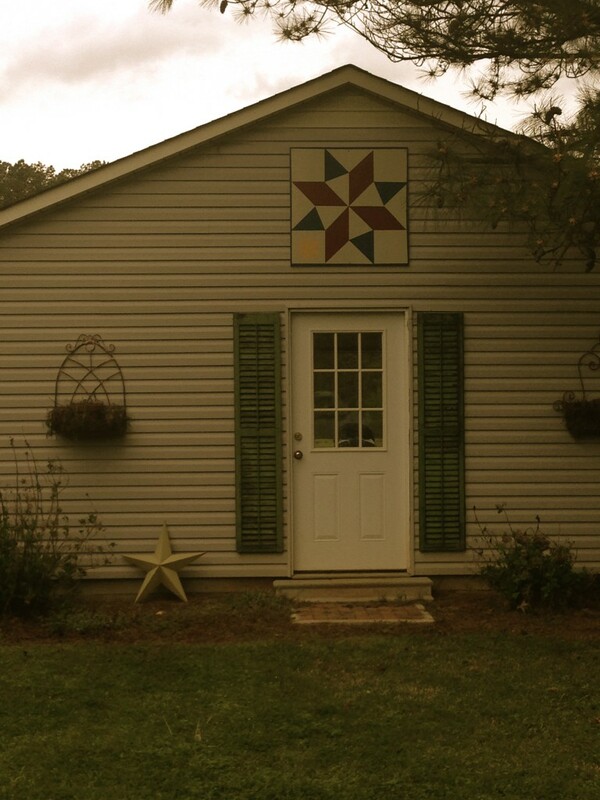 This entry was posted in Uncategorized and tagged alabama, barn, paint, project, quilt by Katey. Bookmark the permalink. Katey, what a wonderfully thoughtful birthday gift! I’ll get to enjoy it too when I pick your momma up for quilting. wow! i am loving my new quilt square on the shed! and i am loving reading its history in the blog!! you all are just too sweet!!! i love it all the more for the journey of becoming my gift from your imagination and all of the painting and visiting in its creation! thank you, thank you, thank you, momma! Oh my!! How gorgeous!! And what a very special “from the heart” birthday gift from a very precious daughter. And one that all her quilter friends will get to enjoy with her. Oh, my goodness–how absolutely perfect! It’s wonderful–looks great on the barn! And I can’t even imagine how thrilled your mama must be, to know all the planning and work and LOVE that went into this perfect birthday gift! You two have such a great relationship–I know it is one of the great joys in her life! Yes sir, if it was up to your deddy his workshop would not have much personality, but the women in his life just make living so much more enjoyable and beautiful. God bless those girls. Yes Deddy, it’s come a long way from just having your name on it. Thank you for your sweet comments. I enjoy them. your daughter. What an awesome gift! Thanks so much for thinking of me and telling me about it. Such a neat idea! I’ve actually never seen these around here. I’ll have to keep my eye out! Blessings to you! I just finished one on this type of surface. I think it’s sign board has a white surface when you remove the protective cover. I do know they were purchased at Lowe’s. What did you use to seal yours? I myself have seen the barns everytime I go home from Tx to WVa. Now I know what to do with them. I do quilt and Ive made many Star quilts. But Im not able to quilt anymore so this is my next challange. What a wonderful birthday gift you gave your mother! Not just the barn quilt but the gift of the time and thought that went into making it and the fact that you all worked on it together making it for her. I cried the first time we discovered a Barn Quilt. We saw it from the highway in Missouri and headed for the exit…drove down a really narrow side road and took a picture of it. It was a moving experience for me…my husband and son, not so much. I want to do a Barn Quilt trail one day. That was so sweet and it turned out beautiful !!! Keep enjoying your mom wish l still had mine ,cherish every moment! God bless you for this gift to. Your mom and dad. The greatest gifts we can give are the ones from our hearts. I pray you and family enjoy this for years to come and tell of your trip and this gift at family dinners for generations to come!!! “You are a very thoughtful person”. Simply stunning and so thoughtful and touching! I love this idea! We have a boat house that could use a compass star. I’ll be using your barn quilt idea for that. The one thing I will be doing differently is to paint the whole board the lightest color first and then add the colors over that. 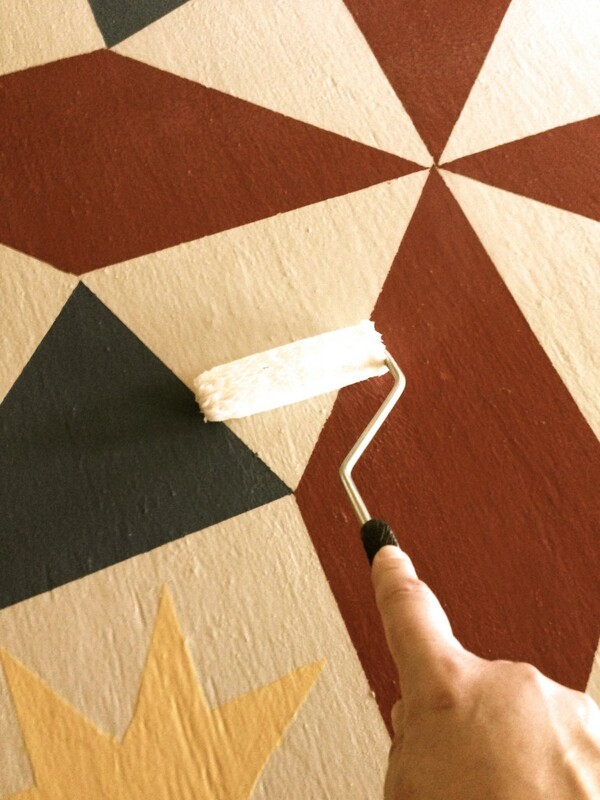 It might save a little time not having to tape off and paint that color too. Hope you get to make more. Everyone here likes yours so much! I wish I could have done something like this for my mother, thanks for sharing. You did a great job. My daughter did one for our barn. 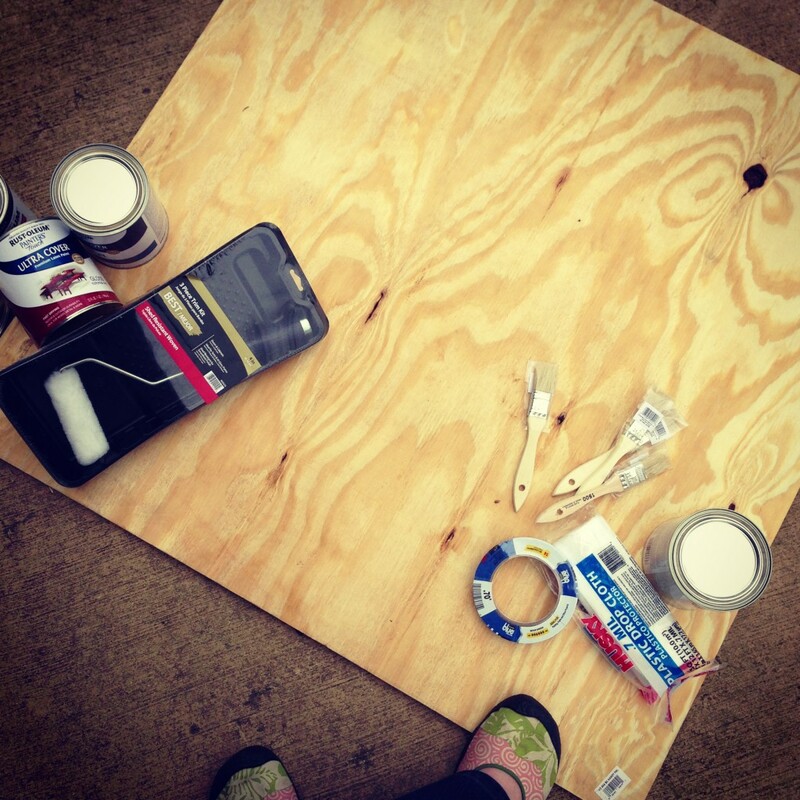 She used 2 full sized sheets of outdoor plywood, 2 coats of primer and 3 coats of “colored” paint. No sealer. Still looking good after 4 years. Others use aluminum sheets like they make interstate signs out of. They come already primed, are lighter weight and more expensive. But, they will never rot. Southern middle Kentucky has several quilt trails. Use ‘frog juice’s to coat. It won’t yellow or fade the paint. Beautiful! 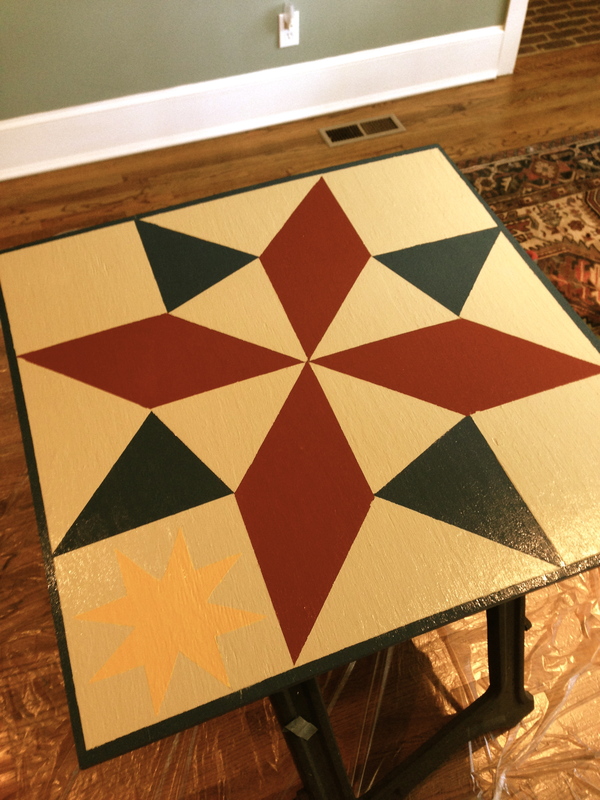 What product did you coat the finished quilt with? So Beautiful!! 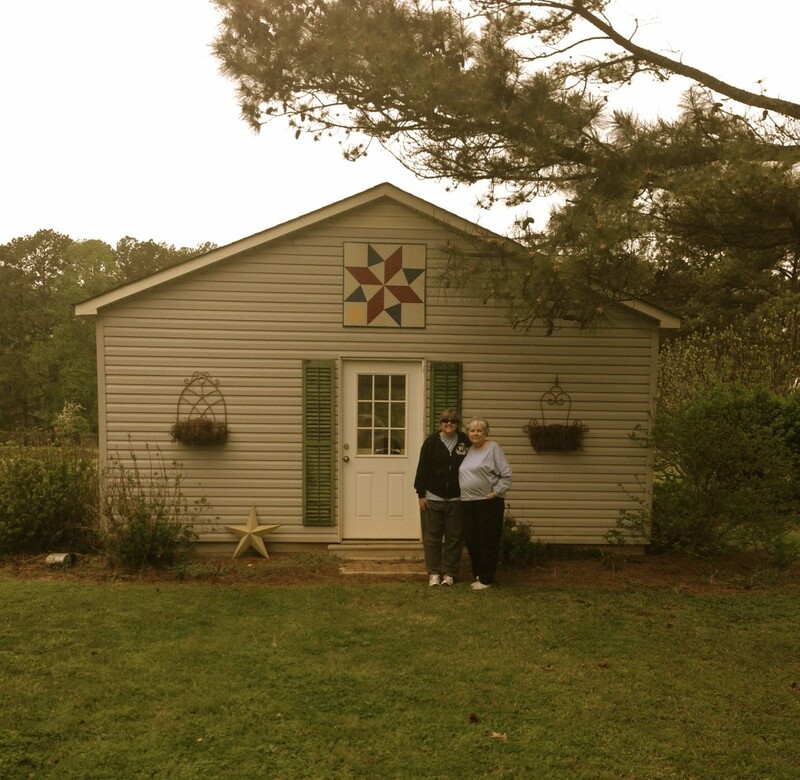 Loved reading your story.The last picture of your Mom & You with the Quilt hanging on her shed is A Lovely Memory to have, you need to frame that!! TY for sharing your creation. Your quilt block turned out beautiful. I know your Momma loved it. I miss my Momma so. I loved reading your story! I live in Ontario, Canada and there is a barn quilt trail here in Prince Edward County as well. I just painted three for my cottage! How did you hang yours? We used D rings and wire but there is a lot of wind here and I’m worried they will blow off. Any suggestions? Thank you and God bless. This was such the perfect gift for your Mama! Enjoy her while you are still blessed with her in your life. I miss my Mom so VERY much! 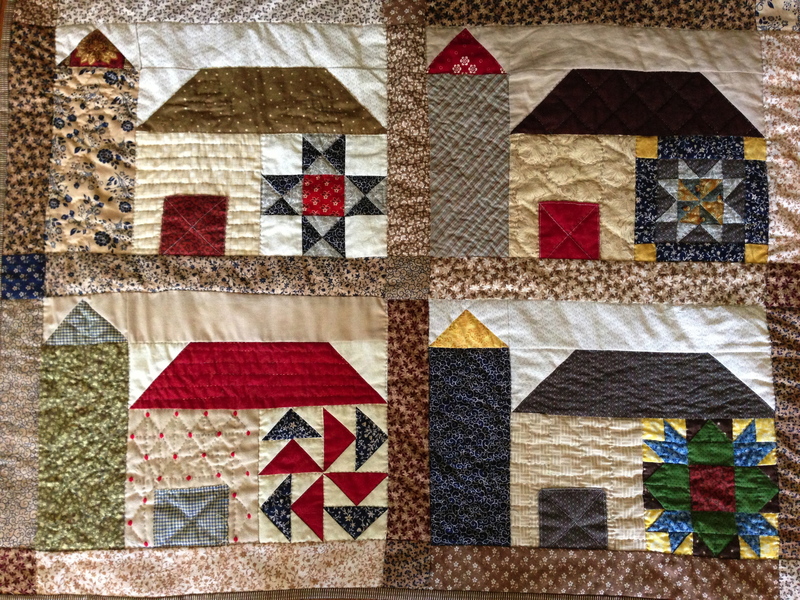 I have made several barn quilts and have them displayed around my farm. The biggest one I have made so far is only a 2′ by 2′ though. They are so fun to make. I even have a few to sell in my little shop at our pumpkin patch. It’s beautiful. What clear coat did you use? 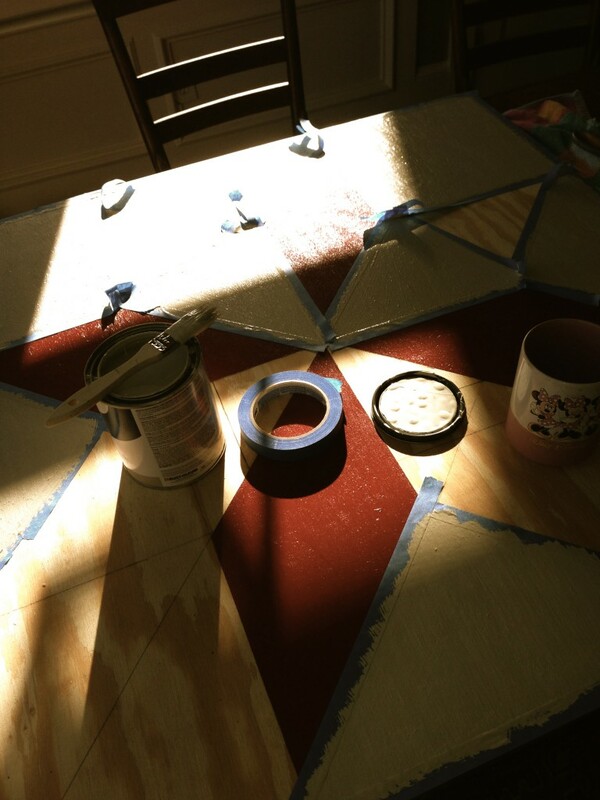 I did a barn quilt and the clear coat was yellow… So disappointed! I look forward to hearing from you ! Thanks! I used polycrylic since it doesn’t yellow. 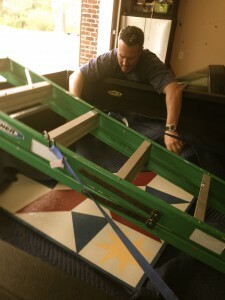 I read that it did not hold up as well but my barn quilt was red / white /blue so I did not want the white going yellow. I figured I would touch it up if it start to show. That said my barn quilt has been up at least two years and it is fine and I have not had to touch it up. How Sweet to make this for Your Parents! And Yes, Enjoy them All You Can. I ABSOLUTELY Love This. I am going to try this. Thank You for the Inspiration and Sharing this. I’ve made four of these, two for myself, and two for my Mom. Basically the only thing I did different than you, was to prime the plywood with a couple coats of white before I started to paint my pattern. I had two huge walls in my living room just begging for something big, and that’s where mine are. My Mom has a large, two story outbuilding, and she hung hers on it, under the covered porch my dad built around it. I LOVE THIS!!! I am going to try to make one on a Painting Canvas for inside the house, since I want it to be lightweight for our walls. I would like to know what kind of sealer the guys at Home Depot recommended and if it has held up or yellowed over the years??? It’s beautiful! Thank you sharing your process! Love it. So thoughtful. How could she not love it! How did the seal hold up in the weather? Oh heavens, how thoughtful, let alone awesome job on painting! I took a get-together fun day class at local quilt shop and painted a 2′ x 2′ one. We are hanging it on the rail fence at end of driveway. Katey, the idea for the placement’s is such a good one. I have a couple of the permanent type ones now. Cork board on the back to keep them from scratching but I wonder what you would coat the top with. If poly acrylic would hold up to all the cleaning. I would never use polyurethane again as it turned one of my barn quilts (not white one) yellow. Also would require thinner wood but I think it would be lovely. Thanks for the Christmas gift suggestion again. How lovely very & what a special birthday surprise. I live in Australia & have only just discovered barn quilts. Planning some for our farm & one small one to hang on his letterbox in his horse racing silks colours. Love your barn quilt and the thoughtful surprise for your mom!! I’m trying to get up enough courage to try painting one! Thanks for the information you have provided! What sealant did you use? It’s gorgeous! Gloria, It was a clear coat sealer that you paint on. It was Rust-oleum. Where did you find directions?